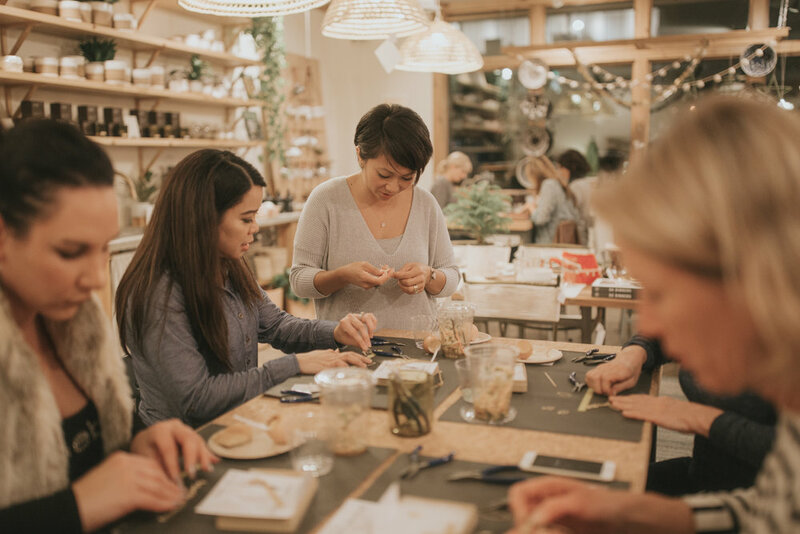 Host a jewelry-making party! All tools & supplies provided. Bring eNVe Designs to you! Host an eNVe Designs WORKSHOP! Would you like to learn how to make your own jewelry? Looking for a fun ladies' night in? Then the eNVe Designs Workshop is perfect for you! It's a fun, unique option for birthdays, bridal or bachelorette parties, Mother's Day, Holidays or special occasions, or just an easy-going craft night with all your girlfriends! Contact us and we can set up the best workshop project to fit the needs of your party! Whether it is creating a pair of gemstone earrings, a personalized necklace, or upcycling your own broken or unused jewelry into a modern statement piece, all of your guests will leave with some essential jewelry-making skills and a unique piece of jewelry that they created themselves! It's always a great time! Workshop fees begin at $75 per person and will vary dependent upon the type of project and materials required. A minimum of 6 attendees required, and a maximum of 16 can be accommodated. All tools, materials, and hands on instruction will be provided. And of course there are Hostess Perks!!! 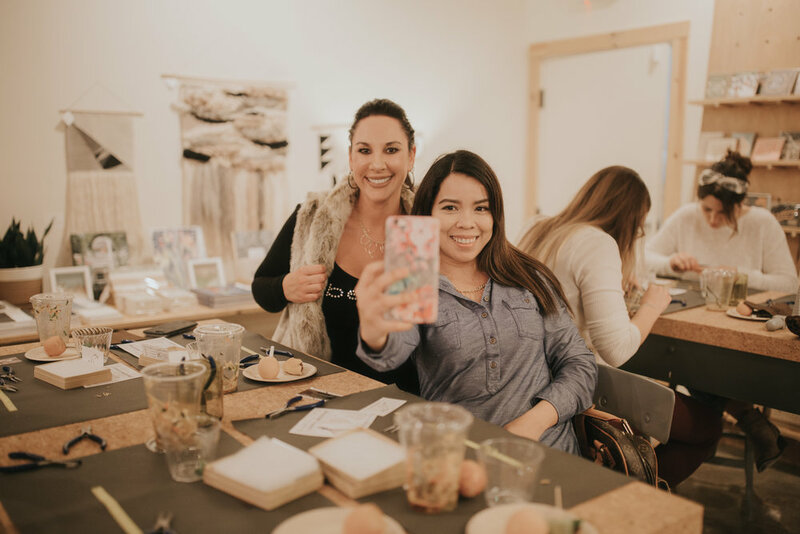 eNVe Hostesses do not pay the workshop fee for their own party, and will receive a $100 eNVe Designs Gift Certificate, good toward future eNVe Designs jewelry purchases or available services (i.e., future workshop fees or renting statement runway pieces). And we love referrals!!! If another Hostess books a workshop during your party or based on your referral, your next workshop fee is on us! Or Host an eNVe Designs TRUNK SHOW! Host a private Trunk Show Party and you and your girlfriends will get first dibs on all the latest pieces from the entire eNVe Designs collection!! 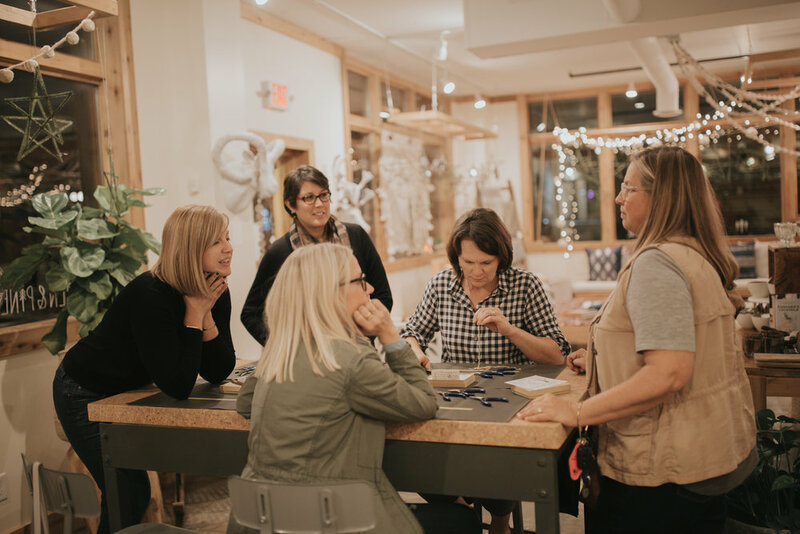 Hostess will receive a $100 eNVe Designs Gift Certificate, good toward eNVe Designs jewelry purchases or available services (i.e., future workshop fees or renting statement runway pieces).